From notch display to waterdrop display, smartphones have been improving to be more beautiful and give larger and larger display. The Chinese manufacturer OUKITEL announced last week that they are releasing a new smartphone C15 Pro with waterdrop display and this new C15 Pro will be the global first MT6761 smartphone. Here we have got more details for this new beautiful smartphone. C15 Pro is catching up a new trend-waterdrop notch screen to make it more naturally beautiful. The front screen gets a 6.088 inch waterdrop notch display with IPS tech. 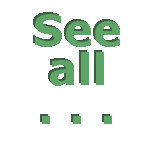 It gets a resolution of 1280*600 pixels and covered by Asahi glass 2. As was leaked, C15 Pro will come with Android 9.0 Pie OS. Though the final software has not been confirmed, we can expect that the C15 Pro will get main new features of original Android Pie like AI APP actions, adaptive battery, vertical volume control, do not disturb, editable screenshot, and many other features. The OUKITEL C15 Pro will come with 2GB RAM+16GB ROM in memory. It is typically an entry level smartphone. But comparing to other entry level smartphones, C15 Pro gets a more powerful processor. C15 Pro is powered by MediaTek MT6761 quad-core chipset with Cortex A53 and clocked at 2.0Ghz. 2.0Ghz are mostly seen on octa-core chipsets. MT6761 chipset is processed with 14nm technology and gets IMG GE8300 @660MHz GPU. The GPU is higher than MediaTek MT6762 octa-core processor which only gets 650MHz in GPU. 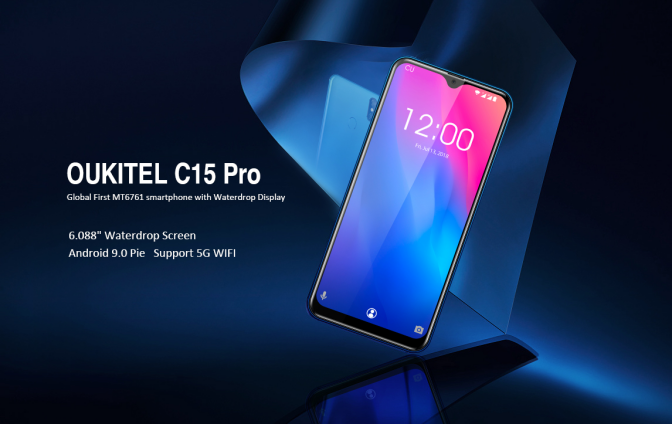 As 5G network is entering the market and offers more excellent experience, OUKITEL is also making the C15 Pro to support both 802.11 a/b/g/n and 802.11 ac, which means that you can use 5G wifi on C15 Pro. We all know that flagship models are offering super powerful performance, but when we are buying a new smartphone, it would be better to choose a smartphone which satisfies your needs as well as within your budget. OUKITEL C15 Pro will be such a smartphone with powerful performance, latest operating system, beautiful design and wallet-friendly price. How do you like this C15 Pro?